In my EA/ICT architectural wolk I tend to apply Goal Oriented Requirements Engineering (GORE ! ), using KAOS as an inspiration. 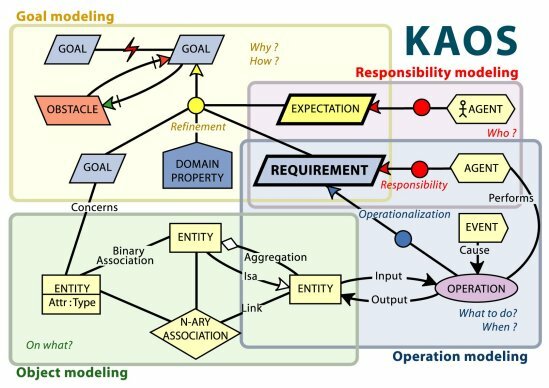 I found a very good pdf on the web that also presents AORE : Agents Oriented Requirements Engineering. The KAOS meta-model includes agents. The AORE technique adds ways to represent agents interactions.